The giant miner reported a sturdy 12 pct rise in first-half earnings, narrowly missing forecasts. It will, though, hand back $7.2 bln, including a record dividend. That suggests long-expected deals are hard to find despite shaky markets, cheaper shares and M&A noise elsewhere. 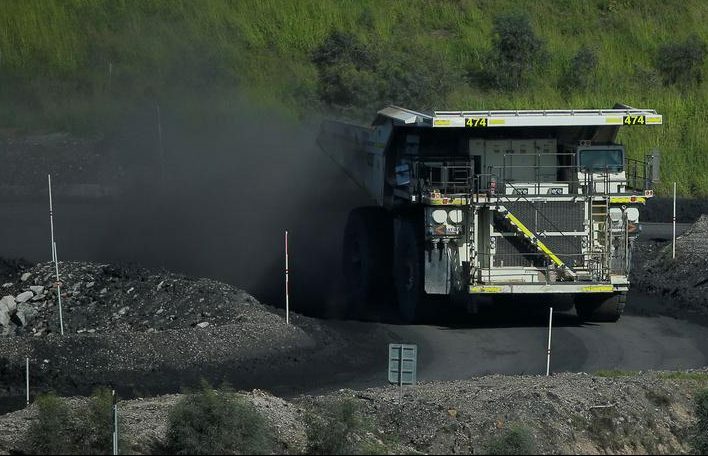 A coal truck drives inside Rio Tinto's Hunter Valley operations in Lemington, north of Sydney, Australia, April 9, 2017. Rio Tinto on Aug. 1 reported underlying earnings of $4.42 billion, up 12 percent year on year and its highest first-half result since 2014. That compares to a median forecast of $4.5 billion, according a compilation of 15 analysts’ estimates provided by Vuma Financial. The global miner said it would return $7.2 billion to shareholders, including $2.2 billion in dividends, an additional $1 billion buyback and the return of proceeds from the sale of assets. Rio Tinto shares were down 3.3 percent at 40.57 pounds by 0800 GMT on Aug. 1.